Google Maps has just launched something genius on its mobile app. Until recently your ‘saved places’ would come in one long list. However, now you have the option to split your saved items into different categories, or lists, and either share them (with specific individuals or publicly) or keep them private. For me, the benefits of this feature are numerous. Imagine you have a friend coming to visit your city and you want to share all the great spots in one easy map. With this new addition to My Maps (the personalised part of Google Maps) you can. Just save all those must-visit locations under one individual list (your favourite morning bakery, the interesting museums…) and share the link with them so they can browse and discover these new places. Or maybe you are visiting a new city and want to make a private list of the places you really don’t want to miss out on, perhaps splitting them into separate categories of ‘Food’, ‘Sights’, ‘Art’ etc. Well now you have that option! I have people contacting me quite often about where I would recommend they visit on their trip to Lima and I normally send them a list of my favourite restaurants, museums and other sites I think they should see. However, this has now been made so much easier and I can create a list with all my highlights in one easy to browse location and send each person links to the lists with everything they need to know. Plus, they can ‘follow’ my list on their own Google Maps ‘Saved’ section (in the app) so that they can make it easily accessible for as long as they need it. I used to make customisable maps for myself on My Maps with all the icons colour coded and extra info added, however the information, and sometimes the icons, are not available offline. Plus, you can only make and edit these maps on the desktop site. The Lists feature is the complete opposite. You can save the lists to be viewed offline and it is only editable through your mobile device, which makes it perfect for taking with you abroad where you may not have your desktop/laptop computer or internet access on your phone or tablet. You can still share your customised lists to desktop via a link, but otherwise it’s all app based. I feel like this makes it the ideal travel companion. I use Google Maps all the time when I travel and I have always used the ‘saved’ places feature to find out where I am, or should be, going. This feature will just make it all so much easier, and I want to make it easier for you too. 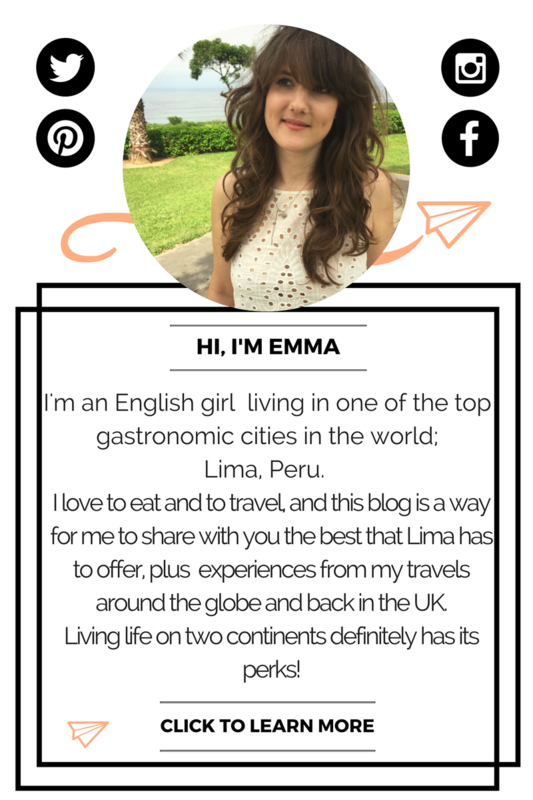 To do this I’m going to create some public lists, showing you my favourite places and spaces in Lima. That way, if you ever find yourself in one of Lima’s districts with no idea where to go or what to eat, you can have this list/map handy to help you with either directions or inspiration. I’m going to do some individual district maps and then a few favourite maps too that will span the whole of Lima. I would love to do a map of my favourite spots in Peru, but there’s just so much more for me to see before I do that! Alongside the maps, I’m going to write a separate blog post that will act as an extended companion, with a very short explanation of why I’ve chosen the location, a link to a connecting blog post (if it exists) and perhaps a picture. I will continue adding to these lists as I find new places that I love and want to share with you, so check back just before you head on your trip to Lima to see if there are any new additions. I hope this makes your holiday planning or city exploring a little easier, whether you’re visiting as a tourist or perhaps exploring your new home here. Either way, a little inspiration or a helping hand is always a good thing. The first post and map will be available by the end of the weekend, so keep your eyes peeled for the link!